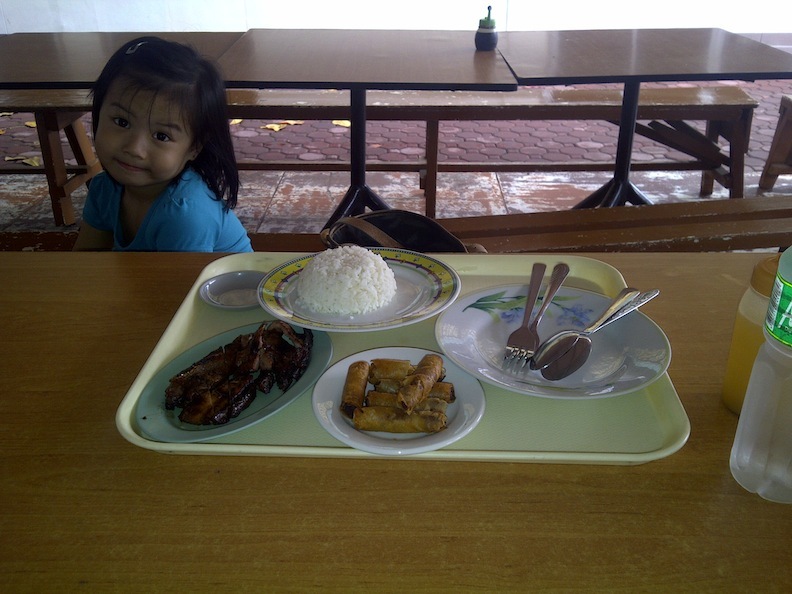 It’s been over a decade since I’ve eaten at Manang’s at the clubhouse in Ateneo. 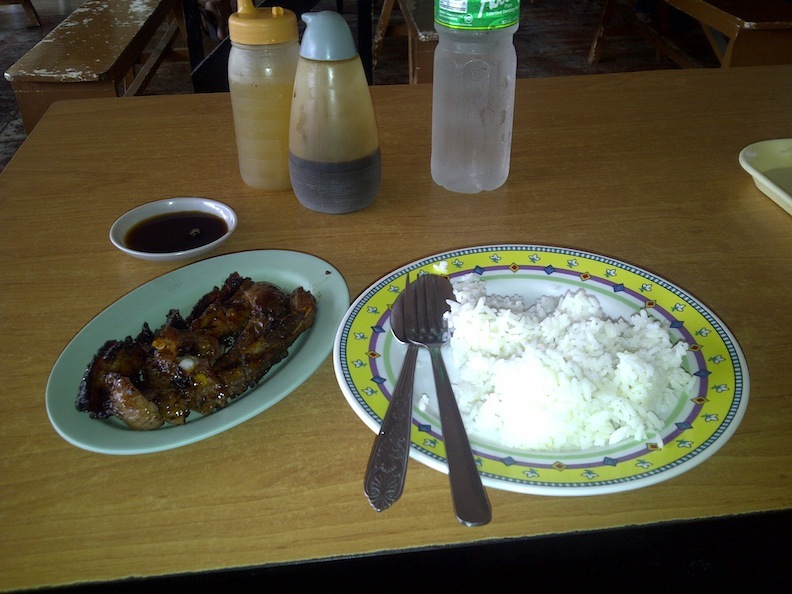 And for some reason, I always crave for their inihaw na Liempo at one point during each pregnancy. I don’t know what it is but it just tastes different. I’ve been eating that Liempo my entire college life. Btw, for those who don’t know, the “clubhouse” or “manangs” as other people call it, is not a restaurant in the campus. It’s just this small canteen beside the covered courts. No aircon, just fresh air, long tables and benches for sharing. 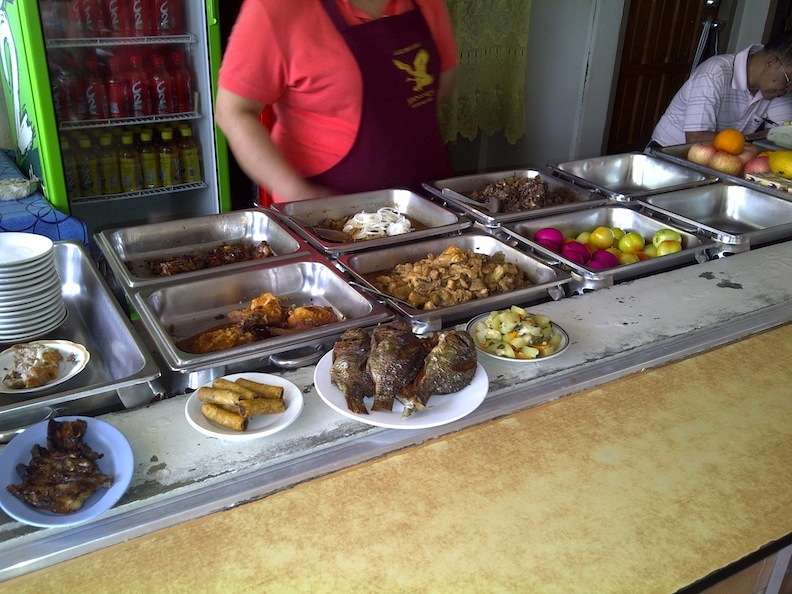 They serve home cooked food. Nothing fancy at all. Anyway, this morning, I suddenly decided to take Chesca out on a date. We didn’t even dress up and just rode the car and drove off. Manangs was where we ended up. We had lunch, just the two of us. She had Lumpiang Shanghai and I had, of course, the never ending Inihaw na Liempo! Unfortunately, the liempo tasted so much better back then, but still good. There were just some parts that were a bit too hard. But Chesca loved the Lumpiang Shanghai and finished everything! Our Food! Total of 141Php with 1 bottle of water. 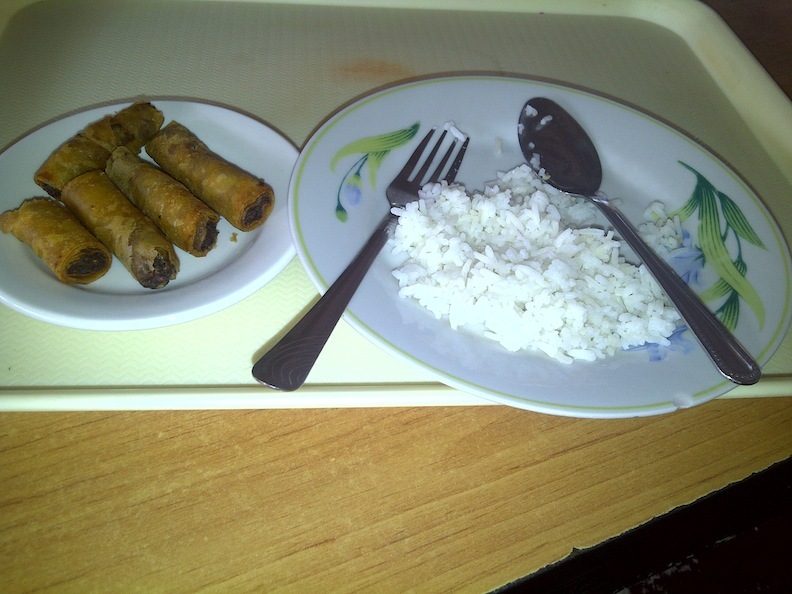 Chesca's own choice...Lumpia! She loves lumpia coz it's crunchy. After eating, I took her around the covered courts and she learned what tennis was and how it was played. She also saw all the basketball courts and learned there were bigger ones than little tikes 🙂 She also saw how big the campus was and asked if there was also a big playground for the students! how cute is that! So I had to explain college students don’t play in the playground anymore. 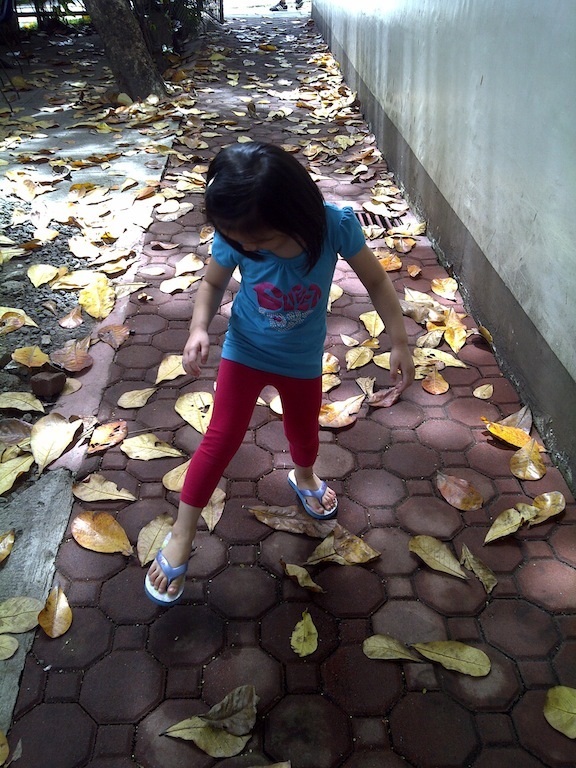 She enjoyed crunching the leaves with her feet before going home. Well, this simple trip was fun and educational for her. She learned about big schools and Universities, sports, and why benches and tables looked different from restaurants. She had so much questions! You won’t imagine. But that’s good. From every question, she learned something new. Just spending time with my toddler is priceless! How was your adventure this Saturday? I hope it was as fun as ours!